color value. Further, there are 9 dynamic modes in the mode button, and the speed is adjustable. This product adopts RF full touch control, with one dimming ring and 5 function buttons. 1. Press and hold the ¡Mode¡ key before the ¡RF LED Driver¡ powering on, the RF signal light lights red. output 50% brightness， indicating that the code learning is not successful, need to repeat the step 1）. 3. Press the ¡ON¡ key, then the LEDs will be 25% brightness. 4. Press the ¡Mode¡ key again, then the LEDs will be 5% brightness. learning. If not, repeat from step 1. 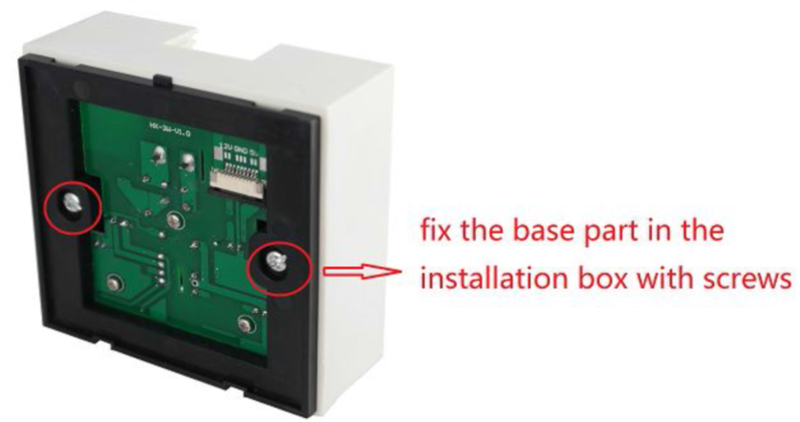 ( user need to prepare the installation box by themselves) on the wall with screws.